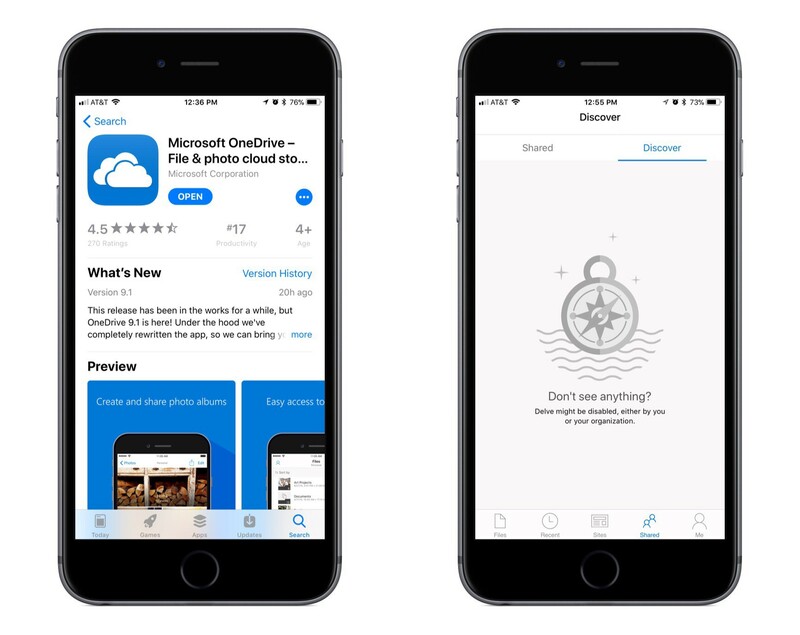 Microsoft has released a big update to OneDrive for iOS, bringing several significant user-facing features as well as a full rewrite of the app under the hood to improve performance. According to the release notes for the update, all the new features are being progressively rolled out over the next couple days, so you may not see them right away. They are also all, at least for now, exclusive to Office 365 subscribers, and it is unclear if that will change in the future or not. The first new feature of note is offline folders. OneDrive has offered offline files for a while now, but the ability to save entire folders offline has been painfully absent. I expect this feature will make a lot of users very happy. Earlier this year OneDrive added a scanning tool, but it was very basic and rudimentary, requiring scanned documents to be a single page only; there were also no editing options whatsoever for scanned pages. The latest version of the app remedies these issues by introducing multi-page scanning along with tools to crop, rotate, or delete scanned pages. The final two changes to OneDrive center around improving file sharing. One of those improvements is that you can now give someone temporary access to a file by creating a shared link with an expiration date of your choosing. The other improvement is found in the app’s ‘Shared’ tab, where users with a work or school account will see a new ‘Discover’ section. This section features an assortment of documents personalized for you based on who you work with and what projects you’re working on together.